We are an eminent firm dealing in offering Cold Pressed Neem Oil to our clients at suitable rates. We offer wide array of accurately formulated Karanja Oil / Neem Oil to international quality standards. 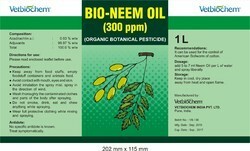 We are offering Neem Oil. 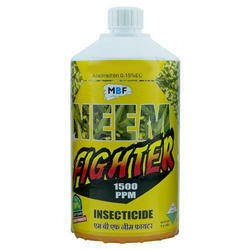 We are offering Neem oil in Agro chemical industries. We are manufacturer of cold pressed neem oil. We can supply 300-2500ppm of neem oil in bulk quantity. Supported by a crew of industrious professionals, we have been able to provide an excellent quality array of Neem Oil which is processed with utmost care in line with industrial norms. We are highly involved in offering a superb quality collection of Cold Pressed Neem Oil.